There are times when the news seems so bad and so disheartening that you can scarcely believe it. For years now, we Tories have been pointing out the obvious – that the Marxist Jeremy Corbyn is not fit to govern the United Kingdom. 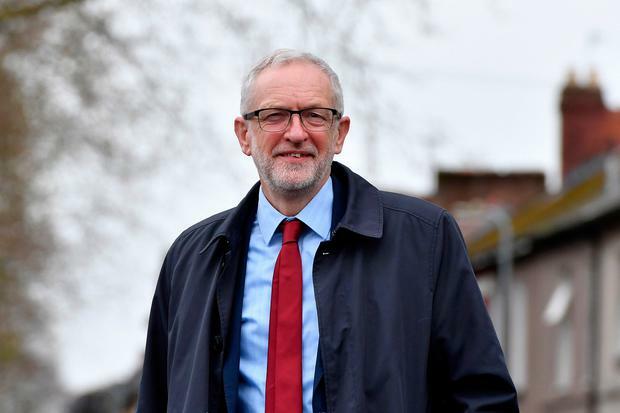 As leader of the British Labour Party, he has presided over a culture of such rampant Israel-bashing that his membership is now riddled with anti-Semitism. His economic policies – crushing taxation, wholesale renationalisation – would be catastrophic. If we Tories have one duty, it is to prevent this man getting anywhere near the levers of power. So it seems utterly incredible that he has now been invited into Downing Street to negotiate a Brexit deal. And it is doubly incredible that the government is – so we are told – willing to accede to his terms. In order to get Corbyn onside, the government is apparently willing to abandon the central logic of Brexit. Jeremy Corbyn and his team have demanded that the UK must somehow leave the EU, but remain in the customs union. That is their price. If the government agreed, it would mean repudiating a manifesto pledge and tearing up a promise made thousands of times in parliament and elsewhere. But it is far worse than that. If the UK was to commit to remaining in the customs union, it would make a total and utter nonsense of the referendum result. We would be out of the EU, but in many ways still run by the EU. It would be the worst of both worlds, not just now but forever – and that is why I find the news so appalling that I don’t really believe it. First, I believe Corbyn sees an opportunity to cause mischief by setting conditions that he knows will cause real anger in the Tory Party. He will eventually walk away from the talks, and – no matter how much flexibility shown by No 10 – he will blame the intransigence of the government. And as for the government, I don’t believe that in the end it would be quite so mad as to agree Corbyn’s terms. If this country was to follow Corbyn’s approach, we would be bound to set the same tariffs as Brussels but we would have no say in deciding them. It would be a big step to economic serfdom; and there would be far more. By staying in the customs union, we would have to commit also to “regulatory alignment” with Brussels – being a rule-taker, and yet with no say in the making of those rules. This is unacceptable to any self-respecting democratic country – let alone to the fifth-biggest economy in the world. It is as if we have not only forgotten what Brexit was supposed to be about; in this whole shambolic process, it is as if we have forgotten what makes this country special. There is still time to sort out the problems in the PM’s deal, and to escape the backstop. It would still be far better to get out with a standstill arrangement – a managed no deal – that would give us time to negotiate a free-trade deal. But to agree to be non-voting members of the EU, under the surrender proposed by Jeremy Corbyn, is completely unacceptable – it cannot, must not, and will not happen.